Jan Christian Smuts at the end of the 1914-1918 World War. On September 19, 2016, the United Nations (UN) General Assembly held a one-day Summit on “Addressing Large Movements of Refugees and Migrants”, a complex of issues which have become important and emotional issues in many countries. The UN Department of Economic and Social Affairs (DESA) published a report on international migration indicating that there are some 244 million migrants, some 76 million live in Europe, 75 million in Asia, 54 million in North America and others in the Middle East, Latin America and the Pacific, especially Australia and New Zealand. In addition, there are some 24 million refugees – people who have crossed State frontiers fleeing armed conflict and repression as well as some 40 million internally-displaced persons within their own country. Acute poverty, armed conflicts, population growth and high unemployment levels provide the incentives for people to move, while easier communications and transport are the means. However, as we have seen with the many who have died in the Mediterranean Sea, people will take great risks to migrate. Thus, there is an urgent need to take away the monopoly of the life and death of refugees from the hands of mafias and traffickers and to create an effective world policy for migrants and refugees. This is the third time that the major governments of the world have tried to deal in an organized way with migration and refugees. The first was within the League of Nations in the 1920s. The 1914-1918 World War and the 1917 Russian Revolution had created a large number of refugees and “stateless” persons – citizens of the former Russian, Ottoman, and Austro-Hungarian Empires. These people had no passports or valid identity documents. The League of Nations created a League identity document – the Nansen Passport – which gave some relief to the “stateless” and brought international attention to their conditions. The Nansen Passport, however, became overshadowed in the mid-1930 when people – in particular Jews – fled from Germany-Austria and were refused resettlement. The second international effort was as a result of the experiences of the 1939-1945 Second World War and the large number of refugees and displaced. Under UN leadership was created the 1951 Geneva Convention on the Status of Refugees. In addition, the UN Office of the High Commissioner for Refugees, originally created as a temporary body, was made a permanent UN agency in recognition of the continuing nature of refugee issues. The current third international effort is largely a result of the flow of refugees and migrants toward Europe during 2015-2016. The disorganized and very uneven response of European governments and the European Union to this flow has indicated that governments are unprepared to deal with such massive movements of people. Nongovernmental organizations (NGOs) have not been able to deal adequately with this large number of persons despite many good-will efforts. 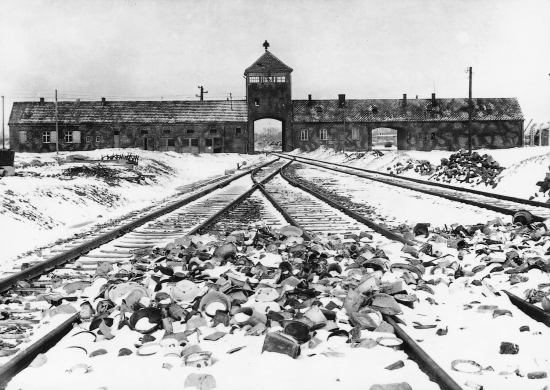 Moreover, certain European political movements and political parties have used the refugee issue to promote narrow nationalist and sometimes racist policies. Even a much smaller flow of refugees to the USA has provoked very mixed reactions – few of them welcoming. The September 19 Summit is a first step toward creating a functioning world policy for migrants and refugees. The Summit is not an end in itself but follows a pattern of UN awareness-building conferences on the environment, population, food, urbanization and other world issues. The impact of UN conferences has been greatest when there are preexisting popular movements led by NGOs which have in part sensitized people to the issue. The two UN conferences which have had the most lasting consequences were the 1972 Stockholm conference on the environment and the 1975 International Year of Women and its Mexico conference. The environment conference was held at a time of growing popular concern with the harm to the environment symbolized by the widely-read book of Rachel Carson Silent Spring. The 1975 women’s conference came at a time when in Western Europe and the USA there was a strong “women’s lib” movement and active discussion on questions of equality and gender. Migration and refugee issues do not have a well-organized NGO structure highlighting these issues. However human rights NGOs have stressed the fate of refugees and migrants as well as human rights violations in the countries from which they fled. There is also some cooperation among relief NGOs which provide direct help to refugees and migrants such as those from Syria and Iraq living in Turkey, Jordan, Lebanon and those going to Greece and Italy. The Summit’s Declaration is very general, and some observers have been disappointed with the lack of specific measures. However, we can welcome the spirit of the Summit Declaration with its emphasis on cooperative action, a humane sense of sharing the responsibilities for refugees and migrants and on seeking root causes of migration and refugee flows. What is needed now are strong NGO efforts to remind constantly government authorities of the seriousness of the issues and the need for collective action. Refugees and migrants are not a temporary “emergency” but part of a continuing aspect of the emerging world society. Thus there is a need to develop a world policy and strong institutions for migrants and refugees. December 18 was set by the United Nations (UN) General Assembly to call attention to the role of migrants in the world society. The date was chosen to mark the creation of the UN-negotiated International Convention on the Rights of All Migrant Workers and Members of their Families. The aim of the Convention was to insure that migrants and their families would continue to be covered by the human rights standards set out in the Universal Declaration of Human Rights, the Covenants, and other human rights treaties. 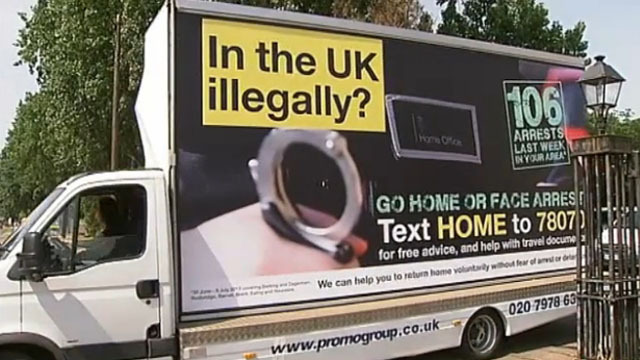 In practice, migrants are often “between two chairs” − no longer of concern to the State they have left and not yet covered by the human rights laws of the State to which they have gone. Ratifications of the Convention have been slow with a good number of governments making reservations that generally weaken the impact of the Convention. In 2004, a commission of independent experts was set up to study the reports to the UN of governments on the application of the Convention − a commission that is part of the Human Rights Treaty Body System. Reports from each government party to the Convention are to be filed once every four years. However, the discussions within the Migration Treaty Body and its subsequent report attract the attention of only a small number of people. However, the discussion deals with the report of only one government at a time while migration is always a multi-State issue and can have worldwide implications. Moreover, many States consider that earlier International Labor Organization conventions deal adequately with migrant rights and see no need to sign a new convention. Therefore, the Association of World Citizens, which is in consultative status with the UN, is calling for a UN-led world conference on migration and refugee issues, following earlier UN world conferences on the environment, food, housing, women, population, youth, human rights and other world issues. The pattern of such UN-led world conferences usually follows a common pattern: encouragement of research and data collection by UN agencies, national governments, nongovernmental organizations (NGOs), and academic institutions. Then regional meetings are held to study the regional dimensions of the issue. The regional conferences are followed by the world conference of government representatives with the participation of NGO delegates of organizations which hold consultative status. Usually there is also a parallel NGO conference with a wider range of NGOs present, especially those active at the local or national level. From such a world conference a plan of action is set to influence action by UN agencies, national governments, and NGOs. Only a UN-led conference with adequate research and prior discussions can meet the challenges of worldwide migration and continuing refugee flows. 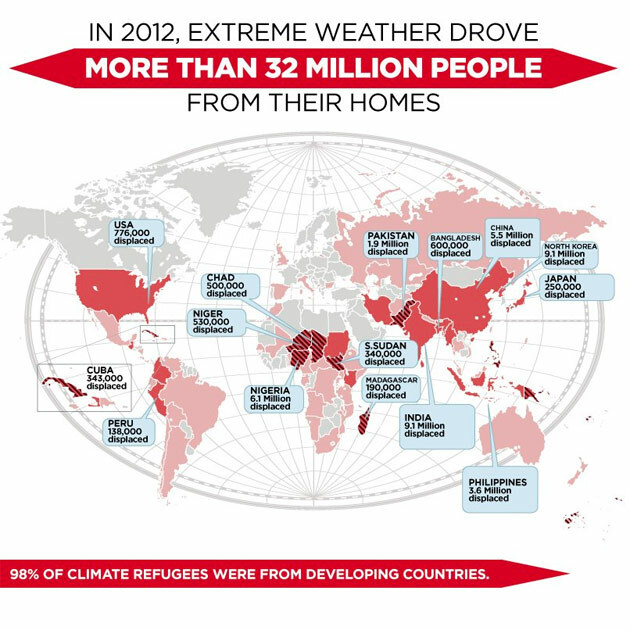 There is a need to look at both short-term emergency humanitarian measures and at longer-range migration patterns, especially at potential climate modification impact. A UN-led world conference on migration can highlight possible trends and especially start to build networks of cooperation to meet this world challenge. In December 2000, the United Nations (UN) General Assembly proclaimed December 18 as the International Migrants Day. The day was chosen to highlight that on a December 18, the UN had adopted the International Convention on the Protection of the Rights of All Migrants Workers and Members of Their Families. Although migration to and from countries is a worldwide flow of people, only 42 countries, basically Latin American, North and West African, Indonesia and the Philippines, have ratified the Convention. The Convention created a Committee on Migrant Workers which meets in Geneva to review once every four years a report of the Convention members on their application of the Convention. 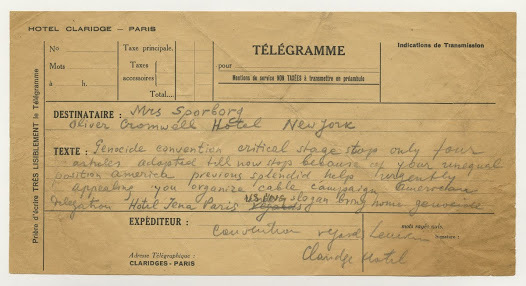 The Convention also created a mechanism by which the Committee could receive individual complaints. Only three States have ratified this individual complaints mechanism: Mexico, Guatemala and Uruguay. Today, there are some 232 million persons who reside and work outside their country of birth. The reasons for migration are diverse − most often economic, but also refugees from armed conflicts and oppression, and increasingly what are called “ecological refugees” − persons who leave their home area due to changing environmental conditions: drought, floods, rising sea levels etc. Global warming may increase the number of these ecological refugees. Although migration is an important issue with a multitude of consequences in both countries of origin and destination, the Committee on Migrant Workers, a group of experts who function in their individual capacity and not as representatives of the State of which they are citizens, has a low profile among what are called “UN Treaty Bodies” – the committees which review the reports of States which have ratified UN human rights conventions such as the International Covenant on Civil and Political Rights or the International Covenant on Economic, Social and Cultural Rights. Since the great majority of States receiving migrants − Western Europe and North America – have not ratified the Convention on Migrant Workers, other ways have to be found within the UN system to look at migration issues. Thus has been created outside the UN system but in close cooperation with the UN, the Global Forum on Migration and Development and the Global Migration Group to address the opportunities and challenges of international migration. Within the UN, there was the recent, October 2013 “High-level Dialogue on International Migration and Development”. The Governments at the Dialogue unanimously adopted a Declaration (A/68/L.5) calling for greater cooperation to address the challenges of irregular migration and to facilitate safe, orderly and regular migration. The Declaration also emphasized the need to respect the human rights of migrants and to promote international labor standards. The Declaration strongly condemns manifestations of racism and intolerance and stresses the need to improve public perceptions of migrants. UN conferences and such dialogues or forums serve as a magnet, pulling Governments to agree to higher ideals and standards collectively than they would proclaim individually. This is not only hypocrisy − though there is certainly an element of hypocrisy as Governments have no plans to put these aims into practice. Rather it is a sort of “collective unconscious” of Government representatives who have a vision of an emerging world society based on justice and peace. In 2010 two French singers, Stanislas and Mike Ibrahim, released a song entitled “Tu verras en France” (“You’ll see in France”). In this song, the two young men call for attention to the situation of migrants who leave their home countries hoping to find a better life in France but end up undocumented and living in extreme poverty, constantly having to run from the police if they don’t want to end up in jail or sent back to their country of origin. The role of nongovernmental organizations is to remind constantly Government representatives that it is they who have written the text and voted for it without voicing reservations. Numerous States which ratified the International Convention on Migrant Workers made reservations limiting the application of the Convention on their territory. Thus, the Declaration of the High-level Dialogue was not written by the Association of World Citizens but by Government diplomats. The Declaration is a strong text and covers most of the important issues, including human mobility as a key factor for sustainable development, the role of women and girls who represent nearly half of all migrants, the need to protect the rights of migrant children and the role of remittances to families. The Declaration merits to be better known and widely quoted in the on-going discussions and debates on migration policies and practices. En tant qu’Organisation Non-Gouvernementale (ONG) dotée du Statut Consultatif auprès de l’ONU et active au sein du Conseil des Droits de l’Homme, l’Association of World Citizens a toujours défendu les Droits de l’Homme partout dans le monde, tous les Droits de l’Homme, qu’ils soient civils, politiques, économiques, sociaux, culturels ou autres, tels que ceux plus récemment reconnus au développement et à un environnement sain. Depuis le début de la décennie, le désir mondial de Droits de l’Homme est plus visible que jamais auparavant. Mais les nombreux auteurs de violations auxquels le peuple du monde doit faire face – les gouvernements des Etats, les corporations multinationales, les groupes politiques non-étatiques, armés ou non – balaient ouvertement les Droits de l’Homme comme étant de simples revendications politiques qui en valent d’autres, leur refusant le moindre caractère de prérogatives universelles reconnues en droit international. Parfois même, les gouvernements répressifs et autres entités qui le sont tout autant vont jusqu’à prétendre qu’ils agissent au nom même des Droits de l’Homme, accusant en cela leurs critiques et leurs opposants d’attenter eux-mêmes aux Droits de l’Homme. C’est comme si chacun ne revendiquait plus les Droits de l’Homme qu’à son seul profit, ignorant superbement autrui et considérant les Droits de l’Homme comme étant tout ou rien – mes droits ou les leurs, l’un ou l’autre mais pas les deux. Rien ne saurait être plus contraire à l’idée même de défense des Droits de l’Homme. 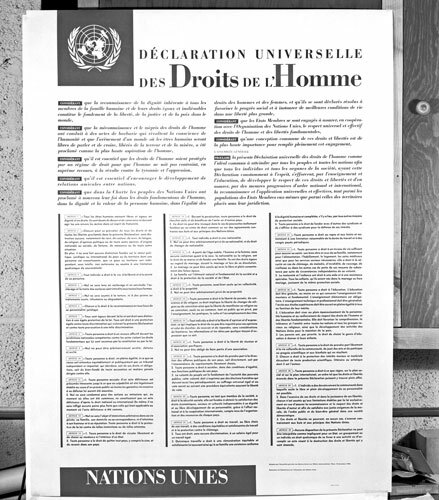 Le Préambule de la Déclaration universelle des Droits de l’Homme, depuis 1948 clé de voûte du droit international des Droits de l’Homme, affirme très clairement qu’une protection effective des Droits de l’Homme par la loi est essentielle « pour que l’homme ne soit pas contraint, en suprême recours, à la révolte contre la tyrannie et l’oppression ». Même si certains peuvent voir en les Droits de l’Homme une question trop « conflictuelle » à aborder, ignorer ou renier les Droits de l’Homme rend bel et bien impossible à toute personne, tout gouvernement, ou toute autre entité que ce soit, d’espérer en tout bon sens atteindre une quelconque paix ou un quelconque progrès dont il ou elle puisse tirer parti. Fraternité – c’est bien là le mot qui compte, car c’est là tout ce que les Droits de l’Homme veulent dire. Se soucier de son prochain, un être humain comme soi-même. Accorder de l’importance à la vie, la liberté, la sécurité d’un ou d’une autre autant qu’aux siennes propres. Vouloir faire le bien des autres plutôt que de concevoir sa propre vie comme un combat permanent et inexorable contre tous. C’est cela, vivre « dans un esprit de fraternité », et partant de là, respecter les Droits de l’Homme, à commencer par le plus essentiel d’entre eux – le droit à la fraternité. Même s’il est devenu très à la mode de chercher des noises à autrui en invoquant les Droits de l’Homme, se conduire ainsi n’a aucun sens, dans la mesure où la défense des Droits de l’Homme doit être par essence inclusive et jamais sectaire. Lorsque l’on reconnait le droit à la fraternité en tant que droit inaliénable devant être garanti à toutes et à tous, l’on en vient tout naturellement à reconnaître tous les autres droits consacrés par la Déclaration et par bien d’autres instruments internationaux de Droits de l’Homme – civils, politiques, économiques, sociaux et culturels. La Déclaration universelle des Droits de l’Homme en langue française, langue maternelle de son principal artisan, le Français René Cassin. Bien évidemment, cela veut dire que chacun a droit à la paix, et plus évident encore, il ne peut y avoir de paix sans la fraternité. « 1. L’individu a des devoirs envers la communauté dans laquelle seul le libre et plein développement de sa personnalité est possible. Peut-on être plus clair ? L’on ne peut jouir de ses droits qu’au sein de la communauté humaine, « dans un esprit de fraternité », donc, ni en dehors de la communauté ni contre la communauté. La plus forte, et la plus logique, conclusion possible à une déclaration universelle des droits – les droits ne peuvent être revendiqués, à plus forte raison utilisés, pour faire du tort à qui que ce soit, ce en aucune circonstance. En d’autres termes, si vous ne reconnaissez pas le droit à la fraternité, vous ne pouvez tout simplement pas vous prévaloir de vos droits du tout. En un temps où il n’existait aucune véritable institution politique ou juridique au niveau mondial, ce qui s’en rapprochait le plus étant une Société des Nations bâtie pour l’essentiel sur des vœux pieux et dénuée de tout pouvoir de promulguer des lois, Schweitzer proclamait déjà, de la manière la plus claire qui puisse être, le droit universel à la fraternité. En 1952, la philosophie du “Respect de la Vie” valut à Albert Schweitzer le Prix Nobel de la Paix. Plus le « respect », selon l’idée que Schweitzer s’en faisait, du droit à la fraternité est important, plus l’oppression et l’injustice ont du mal à s’installer dans une société. Que l’on se batte contre une dictature, que l’on engage le combat contre des politiciens qui propagent le racisme, que l’on manifeste pour un salaire décent, que l’on dispense un enseignement à des enfants démunis ou que l’on fournisse à un village isolé l’accès à l’eau potable, l’on affirme une seule et même chose : nous sommes citoyens du monde entier, l’humanité est notre famille, et en tant qu’êtres humains, nous avons le droit de vivre en famille avec nos frères sur la Terre. Bernard Henry est Officier des Relations Extérieures du Bureau de Représentation auprès de l’Office des Nations Unies à Genève de l’Association of World Citizens. As a Nongovernmental Organization (NGO) in Consultative Status with the United Nations (UN) and accredited with the UN Human Rights Council, the Association of World Citizens has always stood up for human rights everywhere in the world, all human rights, whether civil, political, economic, social, cultural or others, such as the more recently recognized rights to development and to a sound environment. Since the beginning of this decade, the global yearning for human rights has been more visible than ever before. But the many violators to whom the people of the world have had to stand up – national governments, multinational corporations, non-state political groups, whether armed or not – have been openly dismissing human rights as mere political claims pro se, denying these may ever be a universal prerogative officially recognized in international law. Sometimes repressive governments or other entities even claim to be acting in the very name of human rights, accusing their critics and opponents of being themselves human rights offenders. It looks like everybody is now claiming human rights for their sole benefit, totally leaving out others and viewing human rights as a zero-sum game – my rights or theirs, it can’t be both. That is completely out of line with the concept of human rights advocacy. The Preamble to the Universal Declaration of Human Rights, since 1948 the cornerstone of international human rights law, makes it clear that effective legal protection of human rights is essential “if man is not to be compelled to have recourse, as a last resort, to rebellion against tyranny and oppression”. Even though some people may think of human rights as an overly “divisive” issue to deal with, ignoring or rejecting human rights makes it impossible for any person, government, or other to sensibly hope to achieve any peace or progress for their own enjoyment. Brotherhood – that is the one word that counts, for that is just what human rights are all about. Caring for one’s fellow human being. Valuing another person’s life, liberty, and safety like one’s own. Wishing well on others rather than thinking of one’s own life as an inescapable, permanent fight against everybody else. That is what it means to live “in a spirit of brotherhood”, and accordingly, to respect human rights, starting with the most essential of them all – the right to brotherhood. Although it has become fashionable to antagonize others while citing human rights, a conduct like that makes no sense, as the defense of human rights shall be by essence inclusive, never sectarian. In recognizing the right to brotherhood as an inalienable right to be guaranteed for everyone, one naturally comes to recognize all other rights enshrined in the Declaration and other international human rights instruments – civil, political, economic, social and cultural. The Universal Declaration of Human Rights in French, the mother tongue of its main initiator, Frenchman René Cassin. Obviously, this means everyone has a right to peace, and more obviously still, there can be no peace without brotherhood. Clear as day. Rights are there to be enjoyed within the human community, “in a spirit of brotherhood”, thus neither apart from the community nor against the community. The strongest, most logical possible conclusion to a universal declaration of rights – rights can never be claimed, let alone used, to do any harm to anyone under any circumstances. In other words, if you don’t recognize the right to brotherhood, you just cannot claim any rights at all. At a time when there was no real global political or legal institution in existence, the closest thing to it being a League of Nations largely built on wishful thinking and with no lawmaking powers, Schweitzer was already asserting, in the plainest possible manner, the universal right to brotherhood. 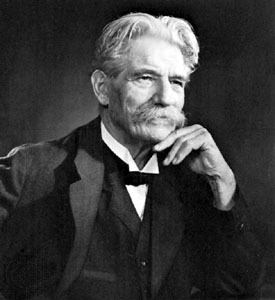 In 1952 Albert Schweitzer was awarded the Nobel Peace Prize for his philosophy of “Reverence for Life”. The greater the “reverence”, as Schweitzer said, for the right to brotherhood, the harder it gets for oppression and injustice to settle down. Whether fighting a dictatorship, confronting racist politicians, demonstrating for decent wages, teaching poor children or providing a remote community with access to clean water, it all comes down to stating loud and clear this one universal claim: We are citizens of one world, humanity is our family, and as human beings, we all have a right to family life with our brothers on earth. Bernard Henry is External Relations Officer of the Representative Office to the United Nations in Geneva of the Association of World Citizens.